Syllabus of the Online Course (Subject): Southern African Customs Union (SACU). 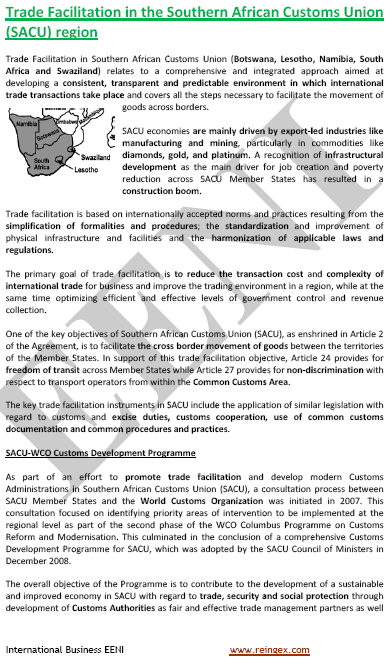 Description of the Course / Subject (Southern African Customs Union -SACU-). In 1920 was created the first Customs Union of the history: The Southern African Customs Union (SACU), formed by Botswana, Lesotho, Namibia, South Africa, and Swaziland; all they are also members of the Southern African Development Community (SADC). The Headquarters of the Southern African Customs Union are in Namibia. 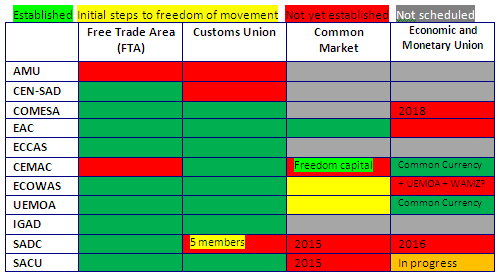 The MERCOSUR-Southern African Customs Union (SACU) Preferential Trade Agreement is not in force. 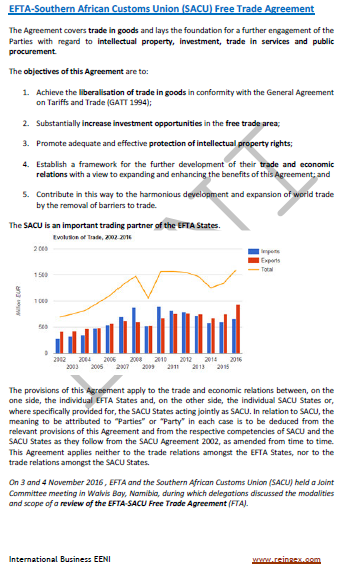 The Southern African Customs Union (SACU) belongs to Southern African Economic Area (African Civilisation). 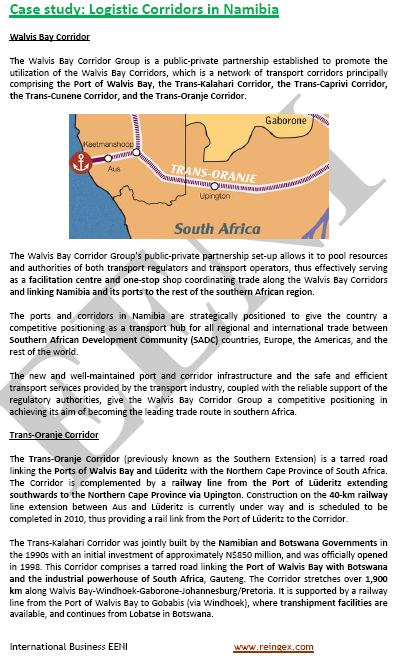 Logistics in the Southern African Customs Union (SACU) region.